Good news for fans of Master Of None’s idiosyncratic streak: Season two rises to (and occasionally exceeds) the challenge of that Ansari quote. There’s a pseudo-sequel to “Parents” that gets tremendous comedic mileage from the particulars of practicing gastroenterology and dating among septuagenarians. The “Mornings” concept is mapped onto Dev’s experience with a dating app, his matches all stitched together into a single, continuous timeline. There are rewarding installments that deal in themes of religion and sexuality, and one episode that plays like the Master Of None approach to the experiments in empathy conducted by High Maintenance and Humans Of New York. There’s also a love story that, for all its moments of true, unforced tenderness, falls prey to irksome cliché and ultimately hijacks the concluding chapters of what—barring major life changes and or a new stroke of inspiration—Ansari says could be Master Of None’s final round. It all begins promisingly enough, with the Italian exodus of the first-season finale opening the door to a second-season premiere that largely eschews Dev’s native tongue and forsakes previous Master Of None touchstones like Woody Allen and Hal Ashby for Vittorio De Sica, Michelangelo Antonioni, and Federico Fellini. In addition to serving up an episode-long homage to Italian cinema, “The Thief” introduces the central tension of season two: An urge to test boundaries versus the appeal of a concentional romance. Dev’s pasta-making apprenticeship in the city of Modena puts him in contact with Francesca (Alessandra Mastronardi), a sparkplug of a co-worker who’s eventually defined by a small handful of characteristics: She’s beautiful, she’s kind, she’s spirited, and she’s dating another guy. 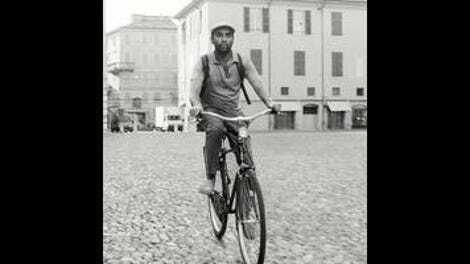 Considering the hard work Master Of None puts in elsewhere—its episodic creativity, its visual and musical flare, its refutation to who gets to tell their stories on American television—it’s a little dispiriting to watch the show peg its season-long arc to the Modenesi Pasta Dream Girl. Mastronardi has a sparkling chemistry with Ansari, and she brings a lot of life and humor to a character who’s otherwise nothing more than the superficial qualities Dev jots down in a legal-pad list of pros and cons. Maybe that list is Master Of None doing some auto-critique, the typically thoughtful program recognizing that Francesca is just another in a long line of one-dimensional female objects who are given only a sliver of the internal life afforded to the men who are attracted to them. Maybe we can make the same interpretation of a snowed-in sleepover sequence in which Mastronardi steps in to frame wearing only an oversized men’s dress shirt. But then that leads to an Italian-pop-scored pas de deux between Dev and Francesca that’s so charming, it kind of explains why talented writers keep handing such thinly sketched characters to actors like Mastronardi. What really burns about this element of Master Of None is that everything else in this second season is so good—it’s like when season four of Louie followed the immaculate “So Did The Fat Lady” with the multi-part story of Louis CK courting a woman who doesn’t speak English. Like CK, Ansari has matured into a confident leading man with a sharp eye and ear behind the camera—across Master Of None’s two seasons, he’s refined a certain type of energetic, urban-outdoors walk-and-talk. (He splits the honor for season two’s best marriage of acting and direction with Eric Wareheim, who helms a lengthy, uninterrupted shot of an emotional ride home for Dev.) He remains the anchor of the show, but he’s a generous anchor, ceding the spotlight to the scene stealers who piled up during Master Of None’s first go-round. Shoukath Ansari puts his comic timing to good use in a scene involving Dev, his father, and a collection of foreign objects pulled out of Dr. Shah’s patients; “big bud” Arnold (Wareheim) takes Dev on an Italian expedition peppered with the type of neologisms that Wareheim and Tim Heidecker forged into a new language on Tim And Eric Awesome Show, Great Job. Best of all is a decade-spanning star turn for Denise (Lena Waithe), a coming-of-age and coming-out narrative told through a progression of Thanksgiving celebrations with her family. It’s a rich season of television, one that commits to the implied prefix of its title—“jack of all trades”—without validating the stated suffix. Ansari and Yang have devised a format that allows them to indulge a range of creative whims, all grounded in the familiar voice and fixations of the series’ star. It’s a vehicle in which Ansari can probe his Muslim upbringing in one episode—the Shahs put on appearances for more observant relatives during Ramadan, then Dev experiences his own, pork-based spiritual ecstasy at a barbecue festival—and delve back into the “phone world” passages of Modern Romance the next. When Ansari expresses uncertainty about a third season in that New York profile, it’s because he’s unsure that his experiences as a single guy in his 30s can fill another batch of episodes. But this batch demonstrates that Master Of None finds just as much inspiration from the people surrounding Ansari. That’s where the root of the Francesca problem lies. For everything Alessandra Mastronardi invests in the role, she’s playing an invention surrounded by lived experiences. There’s nothing wrong with a little fantasy, but it clashes with the entertaining way in which Master Of None reflects its creators’ realities. Reviews by Kayla Kumari Upadhyaya will run every other day beginning May 12. Did a Taylor Swift Script Dead Donald Glover’s Deadpool?